In addition to being regulated by the Fair Debt Collection Practices Act (FDCPA), Iowa collection agencies are also regulated by Iowa debt collection laws. Discover: Iowa collection requirements, bad check laws (NSF), statutes of limitations for both debts and judgments, garnishments plus Iowa collection agency license and bonding information. 1. “Administrator” means the person designated in section 537.6103 . 2. “Creditor”, for the purposes of this article, means the person to whom a debtor is obligated, either directly or indirectly, on a debt. 3. “Debt” means an actual or alleged obligation arising out of a consumer credit transaction, consumer rental purchase agreement, or a transaction which would have been a consumer credit transaction either if a finance charge was made, if the obligation was not payable in installments, if a lease was for a term of four months or less, or if a lease was of an interest in land. A debt includes a check as defined in section 554.3104 given in a transaction in connection with a consumer rental purchase agreement, in a transaction which was a consumer credit sale or in a transaction which would have been a consumer credit sale if credit was granted and if a finance charge was made, or in a transaction regulated under chapter 533D . 4. “Debt collection” means an action, conduct or practice in soliciting debts for collection or in the collection or attempted collection of a debt. 5. “Debt collector” means a person engaging, directly or indirectly, in debt collection, whether for the person, the person’s employer, or others, and includes a person who sells, or offers to sell, forms represented to be a collection system, device, or scheme, intended to be used to collect debts. 6. “Debtor”, for the purposes of this article, means the person obligated. a. The use, or express or implicit threat of use, of force, violence or other criminal means, to cause harm to a person or to property of a person. b. The false accusation or threat to falsely accuse a person of fraud or any other crime. c. False accusations made to a person, including a credit reporting agency, or the threat to falsely accuse, that a debtor is willfully refusing to pay a just debt. However, a failure to reply to requests for payment and a failure to negotiate disputes in good faith are deemed willful refusal. d. The threat to sell or assign to another an obligation of the debtor with an attending representation or implication that the result of the sale or assignment will be to subject the debtor to harsh, vindictive or abusive collection attempts. e. The false threat that nonpayment of a debt may result in the arrest of a person or the seizure, garnishment, attachment or sale of property or wages of that person. f. An action or threat to take an action prohibited by this chapter or any other law. a. The use of profane or obscene language or language that is intended to abuse the hearer or reader and which by its utterance would tend to incite an immediate breach of the peace. b. The placement of telephone calls to the debtor without disclosure of the name of the business or company the debt collector represents. c. Causing expense to a person in the form of long distance telephone tolls, telegram fees or other charges incurred by a medium of communication by attempting to deceive or mislead persons as to the true purpose of the notice, letter, message or communication. d. Causing a telephone to ring or engaging a person in telephone conversation repeatedly or continuously or at unusual hours or times known to be inconvenient, with intent to annoy, harass or threaten a person. (1) Notifying a debtor of the fact that the debt collector may report a debt to a credit bureau or engage an agent or an attorney for the purpose of collecting the debt. (2) Reporting a debt to a credit reporting agency or any other person reasonably believed to have a legitimate business need for the information. (3) Engaging an agent or attorney for the purpose of collecting a debt. (4) Attempting to locate a debtor whom the debt collector has reasonable grounds to believe has moved from the debtor’s residence, where the purpose of the communication is to trace the debtor, and the content of the communication is restricted to requesting information on the debtor’s location. (5) Communicating with the debtor’s employer or credit union not more than once during any three-month period when the purpose of the communication is to obtain an employer’s or credit union’s debt counseling services for the debtor. In the event no response is received by the debt collector from a communication to the debtor’s employer or credit union the debt collector may make one inquiry as to whether the communication was received. In addition a debt collector may respond to any communications by a debtor’s employer or credit union. (6) Communicating with the debtor’s employer once during any one-month period, if the purpose of the communication is to verify with an employer the fact of the debtor’s employment and if the debt collector does not disclose, except as permitted in subparagraph (5), information other than the fact that a debt exists. This subparagraph does not authorize a debt collector to disclose to an employer the fact that a debt is in default. (7) Communicating the fact of the debt not more than once in any three-month period, with the parents of a minor debtor, or with any trustee of any property of the debtor, conservator of the debtor or the debtor’s property, or guardian of the debtor. In addition, a debt collector may respond to inquiry from a parent, trustee, conservator or guardian. (8) Communicating with the debtor’s spouse with the consent of the debtor, or responding to inquiry from the debtor’s spouse. b. The disclosure, publication, or communication of information relating to a person’s indebtedness to another person, by publishing or posting a list of indebted persons, commonly known as “deadbeat lists”, or by advertising for sale a claim to enforce payment of a debt when the advertisement names the debtor. c. The use of a form of communication to the debtor, except a telegram, an original notice or other court process, or an envelope displaying only the name and address of a debtor and the return address of the debt collector, intended or so designed as to display or convey information about the debt to another person other than the name, address, and phone number of the debt collector. a. The use of a business, company or organization name while engaged in the collection of debts, other than the true name of the debt collector’s business, company, or organization or the name of the business or company the debt collector represents. (1) A formal pleading made in connection with a legal action. (2) Communications issued directly by a state bank as defined in section 524.103 or its affiliate, a state bank chartered under the laws of any other state or its affiliate, a national banking association or its affiliate, a trust company, a federally chartered savings and loan association or savings bank or its affiliate, an out-of-state chartered savings and loan association or savings bank or its affiliate, a financial institution chartered by the federal home loan bank board, an association incorporated or authorized to do business under chapter 534 , a state or federally chartered credit union, a credit union service organization, or a company or association organized or authorized to do business under chapter 515 , 518 , 518A , or 520 , or an officer, employee, or agent of such company or association, provided the communication does not deceptively conceal its origin or its purpose. c. A false representation that the debt collector has information in the debt collector’s possession or something of value for the debtor, which is made to solicit or discover information about the debtor. d. The failure to clearly disclose the name and full business address of the person to whom the claim has been assigned at the time of making a demand for money. e. An intentional misrepresentation, or a representation which tends to create a false impression of the character, extent or amount of a debt, or of its status in a legal proceeding. f. A false representation, or a representation which tends to create a false impression, that a debt collector is vouched for, bonded by, affiliated with, or an instrumentality, agency or official of the state or an agency of federal, state or local government. g. The use or distribution or sale of a written communication which simulates or is falsely represented to be a document authorized, issued or approved by a court, an official or other legally constituted or authorized authority, or which tends to create a false impression about its source, authorization or approval. h. A representation that an existing obligation of the debtor may be increased by the addition of attorney’s fees, investigation fees, service fees or other fees or charges, when in fact such fees or charges may not legally be added to the existing obligation. i. A false representation, or a representation which tends to create a false impression, about the status or true nature of, or services rendered by, the debt collector or the debt collector’s business. a. The seeking or obtaining of a written statement or acknowledgment in any form that specifies that a debtor’s obligation is one chargeable upon the property of either husband or wife or both, under section 597.14 , when the original obligation was not in fact so chargeable. b. The seeking or obtaining of a written statement or acknowledgment in any form containing an affirmation of an obligation which has been discharged in bankruptcy, without clearly disclosing the nature and consequences of the affirmation and the fact that the debtor is not legally obligated to make the affirmation. However, this subsection does not prohibit the accepting of promises to pay that are voluntarily written and offered by a bankrupt debtor. (1) The fee is reasonably related to the actions taken by the debt collector. (2) The debt collector is legally entitled to collect the fee from the debtor. d. The collection of or the attempt to collect interest or other charge, fee or expense incidental to the principal obligation unless the interest or incidental charge, fee, or expense is expressly authorized by the agreement creating the obligation and is legally chargeable to the debtor, or is otherwise legally chargeable. e. A communication with a debtor when the debt collector knows that the debtor is represented by an attorney and the attorney’s name and address are known, or could be easily ascertained, unless the attorney fails to answer correspondence, return phone calls or discuss the obligation in question, within a reasonable time, or prior approval is obtained from the debtor’s attorney or when the communication is a response in the ordinary course of business to the debtor’s inquiry. 6. A debt collector shall not use or distribute, sell or prepare for use, a written communication that violates or fails to conform to United States postal laws and regulations. 7. A debt collector shall not collect or attempt to collect charges from an employee or an employee’s dependents for treatment rendered the employee by any health service provider, after receiving actual notice that a contested case proceeding for determination of liability of workers’ compensation benefits is pending as provided in section 85.27 , subsection 6. § 537.5108 Unconscionability – inducement by unconscionable conduct – unconscionable debt collection. 1. With respect to a transaction that is, gives rise to, or leads the debtor to believe it will give rise to a consumer credit transaction, in an action other than a class action, if the court as a matter of law finds the agreement or transaction to have been unconscionable at the time it was made, or to have been induced by unconscionable conduct, the court may refuse to enforce the agreement, or if the court finds any term or part of the agreement or transaction to have been unconscionable at the time it was made, the court may refuse to enforce the agreement, or may enforce the remainder of the agreement without the unconscionable term or part, or may so limit the application of any unconscionable term or part as to avoid any unconscionable result. 2. With respect to a consumer credit transaction, or a transaction which would have been a consumer credit transaction if a finance charge was made or the obligation was payable in installments, if the court as a matter of law finds in an action other than a class action, that a person has engaged in, is engaging in, or is likely to engage in unconscionable conduct in collecting a debt arising from that transaction, the court may grant an injunction and award the consumer any actual damages the consumer sustained. 3. If it is claimed or appears to the court that the agreement or transaction or any term or part of it may be unconscionable, or that a person has engaged in, is engaging in, or is likely to engage in unconscionable conduct in collecting a debt, the parties shall be afforded a reasonable opportunity to present evidence as to the setting, purpose, and effect of the agreement or transaction or term or part thereof, or of the conduct, to aid the court in making the determination. a. Belief by the seller, lessor, or lender at the time a transaction is entered into that there is no reasonable probability of payment in full of the obligation by the consumer or debtor. However, the rental renewals necessary to acquire ownership in a consumer rental purchase agreement shall not be construed to be the obligation contemplated in this subsection if the consumer may terminate the agreement without penalty at any time. As used in this paragraph, “obligation” means the initial periodic lease payments and any other additional advance payments required at the consummation of the transaction. b. In the case of a consumer credit sale, consumer lease, or consumer rental purchase agreement, knowledge by the seller or lessor at the time of the sale or lease of the inability of the consumer to receive substantial benefits from the property or services sold or leased. c. In the case of a consumer credit sale, consumer lease, or consumer rental purchase agreement, gross disparity between the price of the property or services sold or leased and the value of the property or services measured by the price at which similar property or services are readily obtainable in consumer credit transactions by like consumers. d. The fact that the creditor contracted for or received separate charges for insurance with respect to a consumer credit sale or consumer loan with the effect of making the sale or loan, considered as a whole, unconscionable. e. The fact that the seller, lessor or lender has knowingly taken advantage of the inability of the consumer or debtor reasonably to protect the consumer’s or debtor’s interests by reason of physical or mental infirmities, ignorance, illiteracy or inability to understand the language of the agreement, or similar factors. f. The fact that the seller, lessor or lender has engaged in conduct with knowledge or reason to know that like conduct has been restrained or enjoined by a court in a civil action by the administrator against any person pursuant to the provisions on injunctions against fraudulent or unconscionable agreements or conduct in section 537.6111 . 5. In applying subsection 2, violations of section 537.7103 shall be considered, among other factors, as applicable. 6. If in an action in which unconscionability is claimed the court finds unconscionability pursuant to subsection 1 or 2, the court shall award reasonable fees to the attorney for the consumer or debtor. If the court does not find unconscionability and the consumer or debtor claiming unconscionability has brought or maintained an action the consumer or debtor knew to be groundless, the court shall award reasonable fees to the attorney for the party against whom the claim is made. Reasonable attorney’s fees shall be determined by the value of the time reasonably expended by the attorney on the unconscionability issue and not by the amount of the recovery on behalf of the prevailing party. 7. The remedies of this section are in addition to remedies otherwise available for the same conduct under law other than this chapter, but no double recovery of actual damages may be had. 8. For the purpose of this section, a charge or practice expressly permitted by this chapter is not in itself unconscionable. 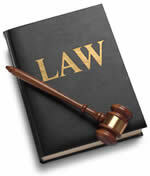 § 537.5201 Effect of violations on rights of parties. a. Authority to make supervised loans under section 537.2301 .
b. Restrictions on interests in land as security under section 537.2307 .
c. Limitations on the schedule of payments or loan terms for supervised loans under section 537.2308 .
d. Attorney’s fees under section 537.2507 .
e. Charges for other credit transactions under section 537.2601 .
f. Disclosure with respect to consumer leases under section 537.3202 .
g. Notice to consumers under section 537.3203 .
h. Receipts, statements of account and evidences of payment under section 537.3206 .
i. Form of insurance premium loan agreement under section 537.3207 .
j. Notice to cosigners and similar parties under section 537.3208 .
k. Restrictions on rates stated to the consumer under section 537.3210 .
l. Security in consumer credit transactions under section 537.3301 .
m. Prohibition against assignments of earnings under section 537.3305 .
n. Authorizations to confess judgment under section 537.3306 .
o. Certain negotiable instruments prohibited under section 537.3307 .
p. Referral sales and leases under section 537.3309 .
q. Limitations on executory transactions under section 537.3310 .
r. Prohibition against discrimination under section 537.3311 .
s. Limitations on default charges under section 537.3402 .
t. Card issuer subject to claims and defenses under section 537.3403 .
u. Assignees subject to claims and defenses under section 537.3404 .
v. Lenders subject to claims and defenses arising from sales and leases, under section 537.3405 .
w. Door-to-door sales under section 537.3501 .
x. Assurance of discontinuance under section 537.6109 .
y. Prohibitions against unfair debt collection practices under section 537.7103 .
z. Failure to provide a proper notice of cure or right to cure under sections 537.5110 and 537.5111 .
aa . Failure to provide a notice of consumer paper under section 537.3211 . With respect to violations arising from sales or loans made pursuant to open end credit, no action pursuant to this subsection may be brought more than two years after the violations occurred. With respect to violations arising from other consumer credit transactions, no action pursuant to this subsection may be brought more than one year after the due date of the last scheduled payment of the agreement. 2. A consumer is not obligated to pay a charge in excess of that allowed by this chapter, and has a right of refund of any excess charge paid. A refund may not be made by reducing the consumer’s obligation by the amount of the excess charge unless the creditor has notified the consumer that the consumer may request a refund and the consumer has not so requested within thirty days thereafter. If the consumer has paid an amount in excess of the lawful obligation under the agreement, the consumer may recover the excess amount either from the person who made the excess charge or from an assignee of that person’s rights who undertakes direct collection of payments from or enforcement of rights against consumers arising from the debt. 3. If a creditor has contracted for or received a charge in excess of that allowed by this chapter, or if a consumer is entitled to a refund and a person liable to the consumer refuses to make a refund within a reasonable time after demand, the consumer may recover from the creditor or the person liable, in an action other than a class action, the excess charge or refund and a penalty in an amount determined by the court not less than one hundred dollars or more than one thousand dollars. With respect to excess charges arising from sales or loans made pursuant to open end credit, no action pursuant to this subsection may be brought more than two years after the time the excess charge was made. With respect to excess charges arising from other consumer credit transactions no action pursuant to this subsection may be brought more than one year after the due date of the last scheduled payment of the agreement pursuant to which the charge was made. For purposes of this subsection, a reasonable time is presumed to be thirty days. 4. Except as otherwise provided in this chapter, no violation of this chapter impairs rights on a debt. 5. If an employer discharges an employee in violation of the provisions prohibiting discharge in section 642.21 , subsection 2, paragraph “c”, the employee may within two years bring a civil action for recovery of wages lost as a result of the violation and for an order requiring the reinstatement of the employee. Damages recoverable shall not exceed lost wages for six weeks. 6. A person is not liable for a penalty under subsection 1 or 3 if the person notifies the consumer of an error before the person receives from the consumer written notice of the error or before the consumer has brought an action under this section, and the person corrects the error within forty-five days after notifying the consumer. If the violation consists of a prohibited agreement, giving the consumer a corrected copy of the writing containing the error is sufficient notification and correction. If the violation consists of an excess charge, correction shall be made by an adjustment or refund as provided in subsection 2. The administrator, and any official or agency of this state having supervisory authority over a person, shall give prompt notice to a person of any errors discovered pursuant to an examination or investigation of the transactions, business, records and acts of the person. 7. A person may not be held liable in any action brought under this section for a violation of this chapter if the person shows by a preponderance of evidence that the violation was not intentional and resulted from a bona fide error notwithstanding the maintenance of procedures reasonably adapted to avoid the error. 8. In an action in which it is found that a person has violated this chapter, the court shall award to the consumer the costs of the action and to the consumer’s attorneys their reasonable fees. Reasonable attorney’s fees shall be determined by the value of the time reasonably expended by the attorney and not by the amount of the recovery on behalf of the consumer. Knowing and abiding to the proper Iowa debt collection laws is important for both creditors and collection agencies alike. There are debtor’s rights attorneys who are just waiting for creditors or collection agencies to slip up. If you mistakenly violate the Iowa debt collection laws, you could create a liability for your business and even open yourself up to a expensive lawsuit. Please note: Iowa debt collection laws can change over time, and you need to consult with an attorney before you use this information.